Vineland is now part of a select group of New Jersey municipalities that have achieved Sustainable Jersey certification. 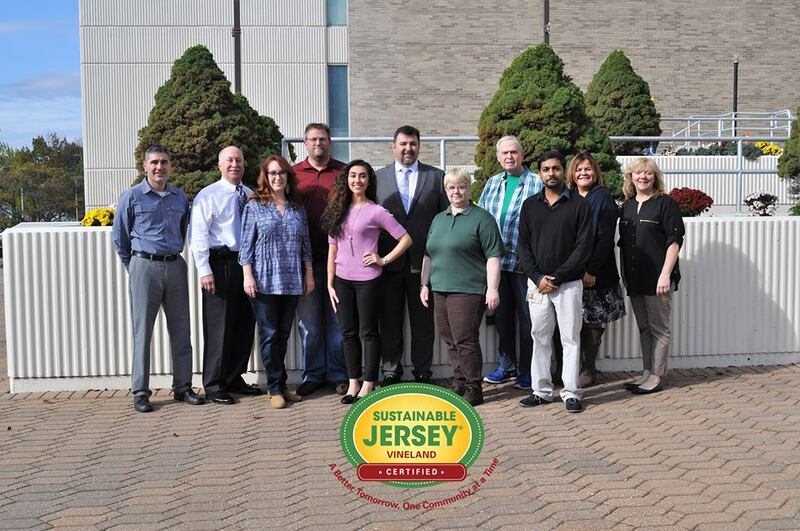 Sustainable Jersey is a State-wide initiative focused on helping municipalities identify and implement strategies to improve energy efficiency, reduce environmental impacts, and improve the quality of life for Vineland residents. As part of the certification process, Vineland established a Green Team and completed a series of required priority and optional actions to achieve the requisite 150 action points. Priority actions included a Diversity Survey of the city’s Boards and Commissions, and the establishment of a Prescription Drug Safety and Disposal Program. Optional actions were completed in the categories of: community partnership and outreach, municipal energy efficiency, health and wellness, land use and transportation, buy-local programs, natural resource protection, tree and woodlands management, access to municipal public information, waste management, and recycling. As a Sustainable Jersey community, Vineland is now eligible to apply for grants to help fund further actions. As a result, the Green Team is currently working on a number of new sustainability initiatives including projects such as Bioretention System Rain Gardens, Porous Pavement, and Rainwater Harvesting. In addition, the city has launched a Green Business Recognition program in partnership with the Vineland Chamber of Commerce and Citizens United To Protect The Maurice River. Click here and get your business certified as a “Sustainable Eco-Friendly” business! (Front Row L-R) Diane Amico, Municipal Utilities; Ariana McTamney, Business Administration; Kathie Hicks, Planning Department; and Emmanuel John, Information Systems. (Back Row L-R) Greg Gallo, Business Administration; Dennis Palmer, Landis Sewerage Authority Executive Director; Brian Myers, Engineering Department; Victor Terenik, Information Systems; Lee Burke, Citizen Volunteer; Emma Lopez, Health Department; and Sharon Flaim, Recycling Department. 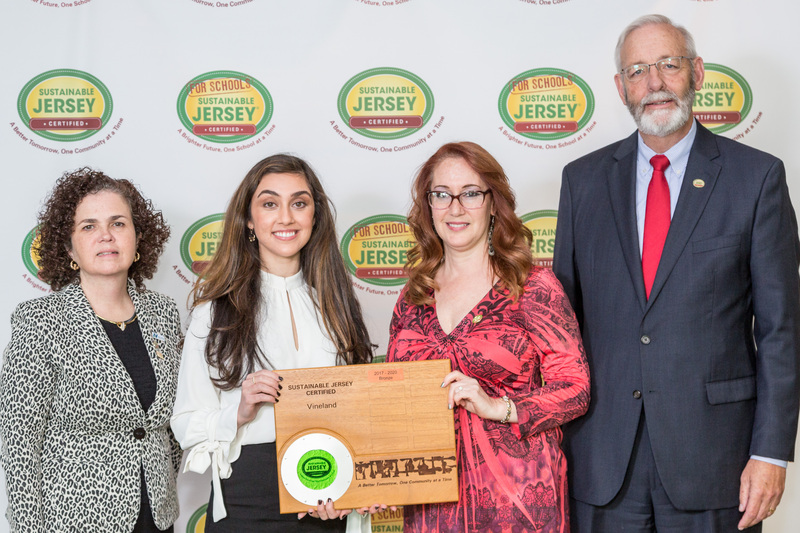 (L-R) Ann Marie Peracchio, Vice Chairperson, Sustainable Jersey Board of Trustees; Ariana McTamney and Diane Amico, Vineland Green Team; Richard Dovey, Chairperson, Sustainable Jersey Board of Trustees.